I was excited to try Chanel's newest Les Exclusifs release, Sycomore, for quite a while, having heard so many good things about it on Makeupalley.com. I do like vetiver, and Sycomore is said to be an homage to that note. On first sniff, I'm getting a pepper note and also something I can't quite identify, but that smells very like what most perfumers believe passes for a tea note. Have you ever put your nose into a bottle of vitamin C? Yes, it smells like ascorbic acid. I don't know why perfumers think tea should smell like ascorbic acid, but that's almost always how it comes across to me. Anyway, after the pepper and tea-wannabe note fades (and it takes a while, these are some long lasting top notes), I get a very earthy vetiver. This is not a clean, crisp green, but rather chockablock full o' dirt. It is also slightly smokey. And it lasts a loooooong time. I dabbed this in the morning and it lasted all day. Before I tried Chanel Cristalle EDT, I thought I just wasn't a chypre girl (and for those who don't know, a chypre is a fancy French term for a perfume featuring an oakmoss base…well ok, some people think labdanum or patchouli also count, but I always think of chypres as being oakmossy-and usually they are, even if they also have patchouli or other things.) I usually find chypres have a dusty quality to them that I just can't stomach. 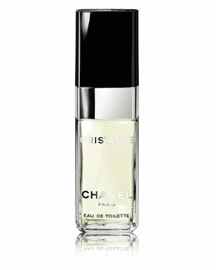 But Chanel Cristalle exemplifies the cool, dry green that you would think oakmoss should feature. It is crisp and refreshing, with a touch of citrus accord to lend it brightness. It is an oldie but a goodie, created in 1974, and yet it seems very modern. Both sexes can wear this fragrance successfully, and prepare yourself for a shock: it is perhaps the most affordable thing you could ever buy from Chanel. $62 for a full 2 ounces. Buy it at Neiman Marcus right now and get free shipping. Who wasn't excited to try the newest Chanel Les Exclusif release, Beige? It seems odd to put "excited" and "beige" in the same sentence, actually. But after sampling, I have a new appreciation both for the color and the fragrance. Beige reminds me very, very much of Chanel's Gardenia. The notes for this one are freesia, frangipani, hawthorn, and honey, but like Gardenia, it is nigh impossible to pick out individual notes in Beige. It is very well blended, opening with white floral flair tempered by hawthorn, lending it an almost sour vibe. I don't find it too heady, but it's certainly not dull. After a few moments, the drydown becomes almost chalky, and gradually verges toward a slightly soapy, soft white floral. I can see how Beige would be utterly beautiful on the right person, and I think it's something I'd recommend to almost anyone who liked florals. I can appreciate it, but, like the color, I don't think it is at its best on me. You should be able to find Beige at Chanel boutiques, and the bottle retails for $190.